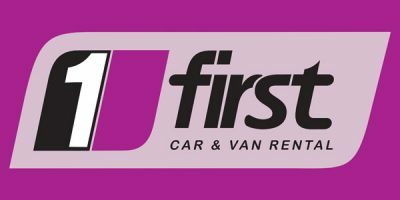 GAUTENG, JOHANNESBURG, 21 NOVEMBER 2018 – If you are renting a car this summer, don’t forget to pack your patience, unless of course, you are hiring from First Car Rental, who this week, launched South Africa’s first ever Car Hire Self-Service at major branches across the country. Self-Service has been piloted at OR Tambo for the past 4 months with select methods of payment and is now ready for all market segments. Over the past 18 years, tech-savvy First Car Rental has led from the front in developing an impressive set of ‘first mobility’ facilities and software programmes in the car rental industry. Being first-to-market typically enables a company to establish strong brand recognition and customer loyalty (before competitors enter the arena), as was experienced when First Car Rental launched their first-in-world, first-in-market, Show&Go Corporate Facilities at their airport branches in 2011. This showstopper technology is popular with corporate travellers, and for good reason, as it ticks all the boxes that frequent flyers would want and benefit from. It entails companies opening an account with First Car Rental, then ‘mobile-readying’ their key staff who travel. These staff are then issued a tiered Show&Go card, and never step foot in a branch again. They step off the plane, walk a predetermined route to the Show&Go car park, where an agent is waiting with a tablet. No branch, no queuing and no paperwork. First Car Rental’s Self-Service is available to account or non-account holders. Nortje is resolute that every tech-product they design must uphold the pillars of innovation excellence with the customer at the centre. Self-Service Car Hire gives the renter the independence to take control of their rental journey. The experience starts when booking a rental online, either at the office, home or on their smartphone. At pick-up, the renter heads straight to the self-service touchscreen, selects their car of choice, signs on the screen, and the checkout is complete, all in under 30 seconds. The launch phase entails dual-view screens to allow agents to assist renters with their first self-service checkout. Nortje explains, “We define exactly what improvements we want to bring about in the customers’ rental experience and then we design for this desired outcome. Approaching innovation this way means the business is customer-led, rather than being constrained by current capabilities. “I believe that customer centric is a way of doing business with a customer in a way that provides a positive customer experience, before, during and after the rental, in order to drive repeat business and customer loyalty.